A Gorillapod is a must-have travel accessory. 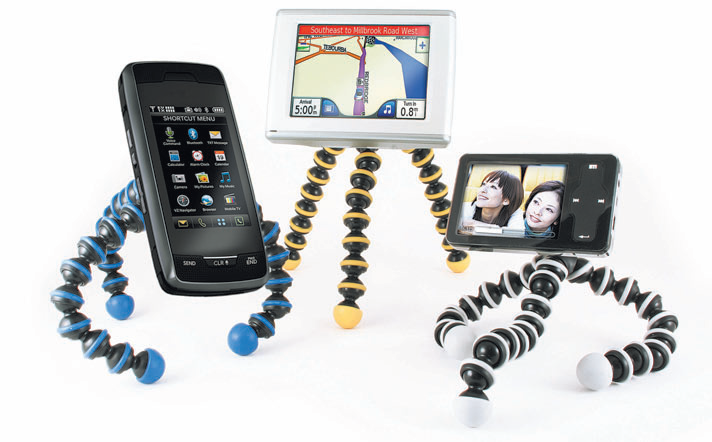 The Gorillapod is a range of tripods manufactured by Joby, which has a tripod head attached to three flexible legs. These can be placed on uneven surfaces, wrapped around poles, hung from branches and even attached to windows in moving vehicles. Apart from cameras, there are Gorillapods available for PMPs that let you use the tripod as a stand for watching or recording. There are also many sizes available. You can order one for anywhere between Rs. 2,000 to Rs. 7,000 depending on the kind and size of Gorillapod you want.